It is perhaps due to tourism that French regional cuisine is so cultivated. As early as the 60s of the last century, cookbooks appeared in which the typical French regional dishes were described. 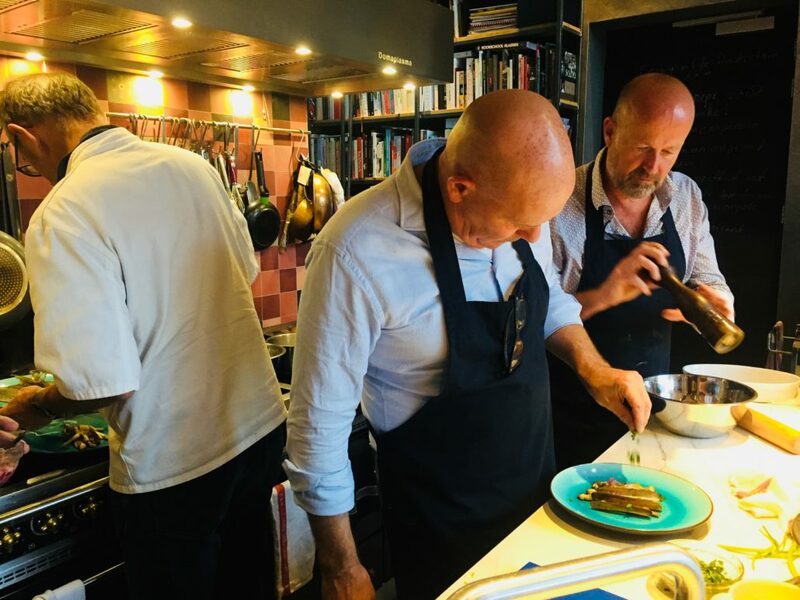 This course is designed for those who already have a culinary basis, as described in the course French Cooking techniques. 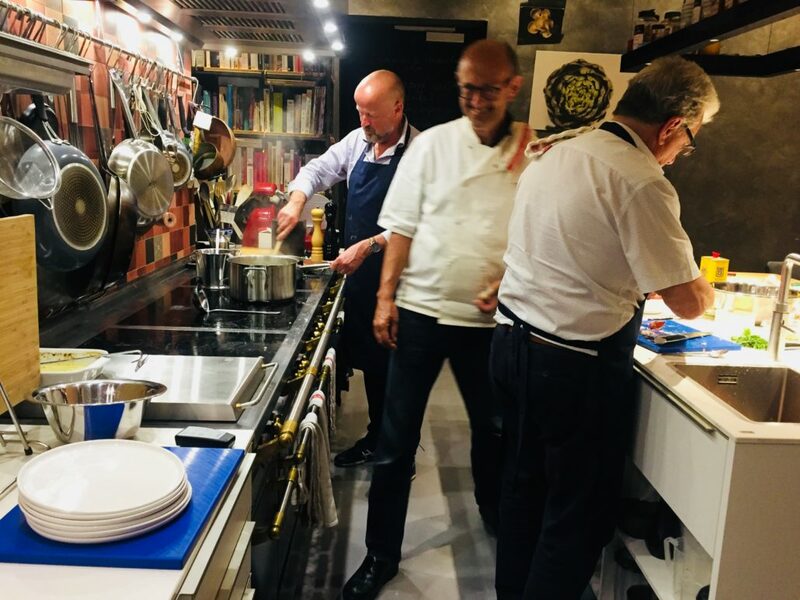 During this course, all French provinces will pass you by and you will work with a variety of ingredients that fortunately are also well available in the Netherlands. After the course you will know various types of preparation techniques such as smoking, roasting, sautéing, glazing, baking, frying, poaching, and sous vide cooking. We apply these techniques to the finest dishes that French cuisine has produced. Getting more and more curious? Scroll down to read the details. The course consists of six lessons. The lessons can also be booked separately. Scroll down for details per lesson. Register now and secure yourself a place at the stove. In this first lesson, we will prepare a number of dishes from the north and west of France, namely from Normandy, Brittany, and Picardy. The Northern French cuisine is known for its fish and seafood, cider and Calvados. 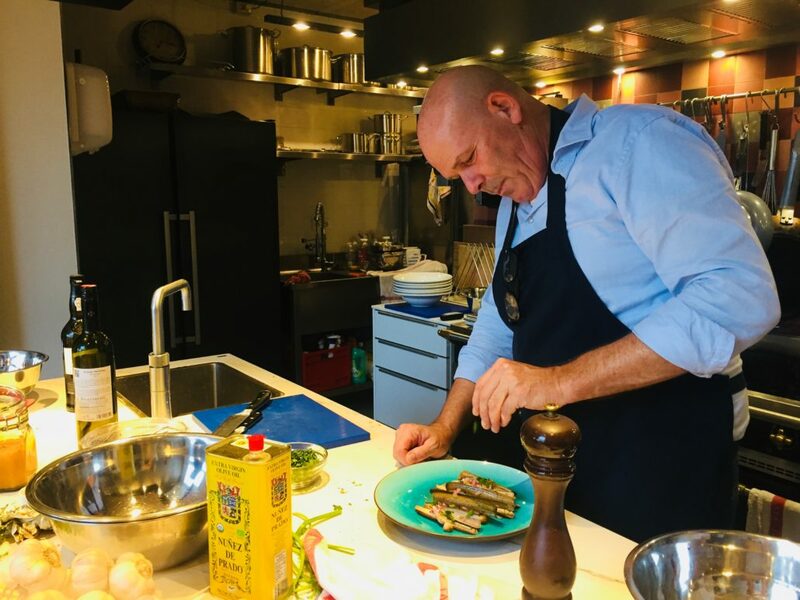 During the lessons, we combine different flavors and techniques from this region, while paying attention to details and enjoying our cooking skills. Lesson 2 is entirely dedicated to sausage and rillette making. We are at home in French cheeses and wines. But what about all those delicious sausages and rillettes that France has to offer? Of course, during this lesson, we make various dishes including matching vegetable dishes. In this lesson, we prepare regional dishes from Burgundy, Savoy, Alsace, and the French Alps. 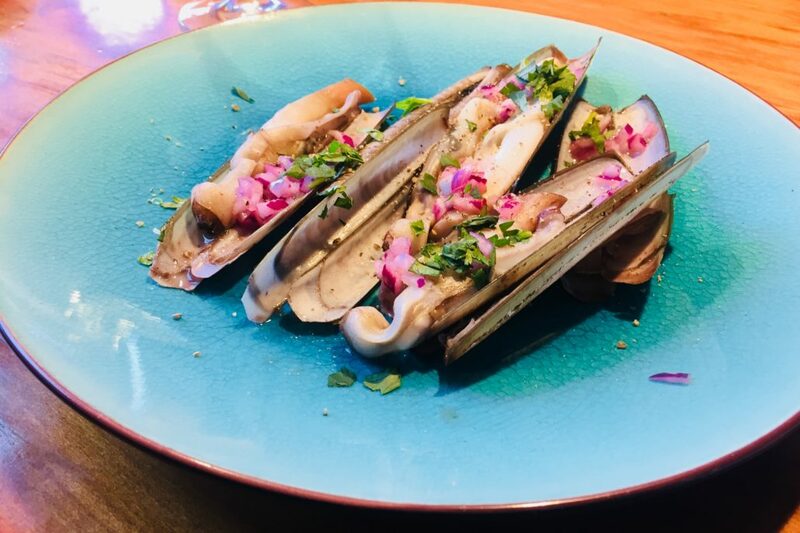 Burgundy can pride itself on its rich cuisine, such as Coq au vin or Boeuf Bourguignon, but also has delicious fish dishes. Alsace is known for its choucroute, a traditional dish of sauerkraut with garnishes including sausages, a large piece of pork and a thick slice of bacon. And in the French Alps, you cannot escape dishes such as Tartiflette or cheese fondue. This lesson contains a selection of regional dishes in which we will reflect on the techniques used in these areas. Lesson 4 is dedicated to the Basque Country and the Pyrenees. The cuisine of this region is special because of the mix of Spanish and French influences. The area offers various typical stews, such as chicken Basquaise or the ttoro, a fish stew. In this lesson, we use techniques that are less obvious, such as sous vide and molecular cooking. Sous-vide is a technique in which products are vacuum packed, after which they are cooked in a water bath at a constant temperature of your choice (55 to 85 degrees). Molecular cooking actually means applying science in the kitchen. Applying these techniques, meat, fish, vegetables or other products can be cooked to perfection. This is a challenging lesson in which you get to know two special cooking techniques. In this last lesson we travel to the south-east of France; the Provence and the Languedoc. Sun-ripened fruit and vegetables, fresh fish, seafood and freshly picked herbs make life in this area very pleasant.